Signs about the press release and announcing a forum are pasted all over the neighborhood. Photo by Alicia Kennedy. Opening a restaurant in this town is risky, expensive business: Where will it be? What’s the concept? Will people like it? 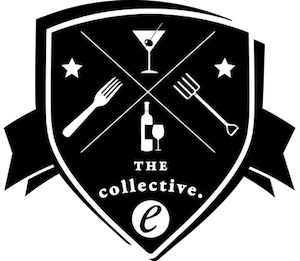 On Monday, the restaurant’s owners issued a media blast to highlight the restaurant’s street chic: wine bottled in 40-ounce bottles, recalling the urban mythos of Black men on corners with malt liquor, and $12 cocktails displayed against a “bullet hole-ridden wall,” recalling the bar’s supposed past as a spot to purchase illegal guns. The blast worked. Summerhill got attention. 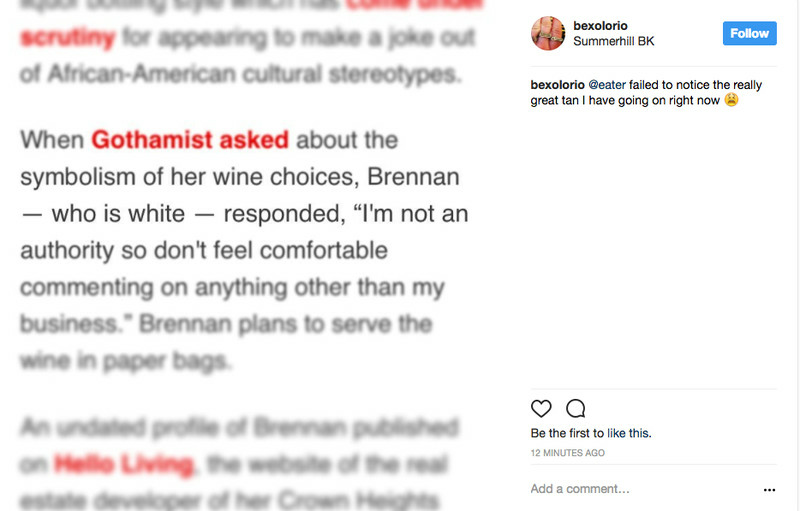 Gothamist and Eater reported on Brennan’s decision to use racial stereotypes and a history of violence as a cheerful marketing campaign, just as intended. But neighborhood folks past and present went off, a fact that seemed to surprise Brennan. As many took to Twitter or posted flyers around the neighborhood in protest, she defended the advertising, at first, even joking about it on her personal Instagram account. She missed the fact that beneath the collective anger was the clear, painful understanding that Crown Heights residents, especially the ones who are not white, were never the intended audience for Summerhill. This failure to engage with the existing community, and, more egregious, the decision to dehumanize it so as to be a mere prop, is another example of how restaurants and bars have become both markers and battlegrounds of gentrification and inequality in an increasingly divided city.